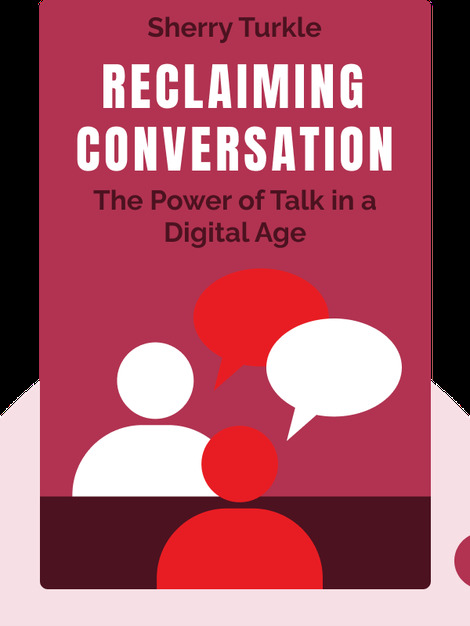 Reclaiming Conversation (2015) reflects on how we interact with one another in our increasingly digitized world. Constant interruptions, leaving messages unanswered and lack of interest have all become the norm in a world rife with mobile devices and screens. But is this what we want? And if not, what can we do about it? 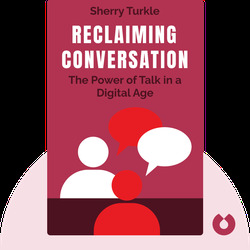 Sherry Turkle is a psychologist specializing in human–technology interaction and psychoanalysis, and is the Abby Rockefeller Mauzé Professor of the Social Studies of Science and Technology at MIT. She has published several books on the effect of new media on society, such as Life on the Screen and Alone Together.